Recently I opened an email asking me if I wanted to review something for Millie. Older readers will know that my blog started off really focused on Millie as she was just a kitten when I first started. 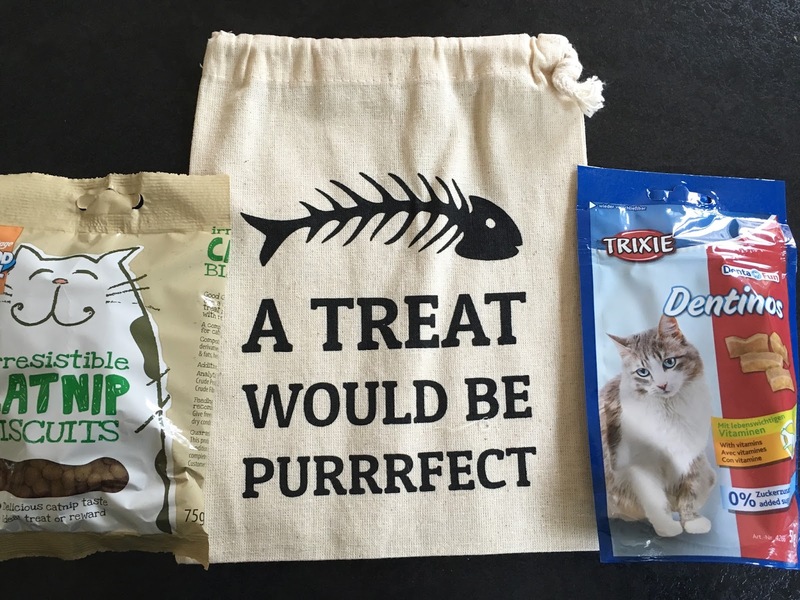 The email was from Purrfectbox. 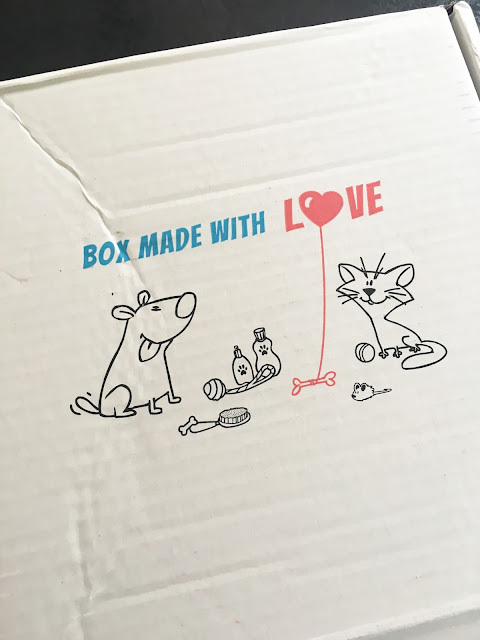 I filled out a small form about Millie and waited for the box to arrive. I was told to expect the box between the 20th-25th of May. I got an email when it was sent but didn't receive the box until May 31st. I did email to check up on the box and was told there were a few issues with delivery and to expect it very soon and if it still hadn't come in a few days to email again. I was really interested to open the box and this is what I saw when I did. 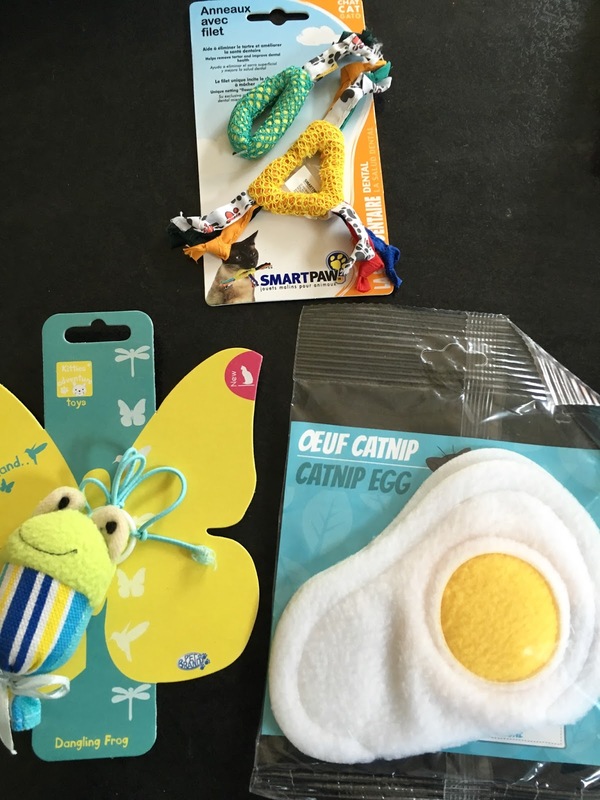 It looked like a lot of goodies for Millie and I couldn't wait to take a closer look. The website does say to expect 5 to 6 high quality items in each box. 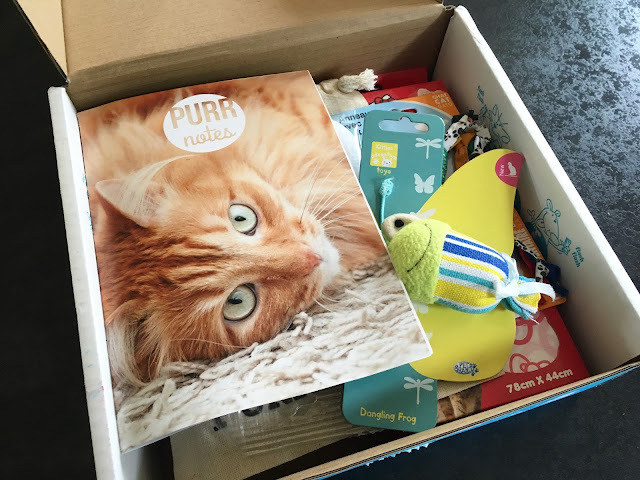 Each box has a higher retail value that what you pay. Below is everything we received. We also received three toys. Millie loves them all. She especially loves the fried egg and looks so funny playing with it. 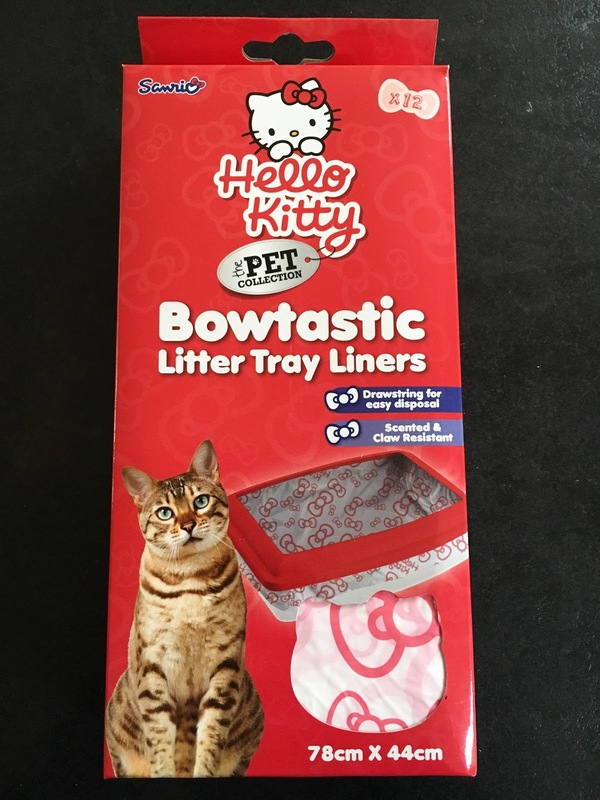 Lastly we got some litter tray liners. In theory these are good but unfortunately they don't fit our little tray. They also wouldn't be much use if your cat didn't use a littler tray. Overall I love the idea of the box. The box retails for £19.90 if you sign up for a monthly subscription. You can also get a 3 month and 6 month subscription for discounted prices. I don't think we would personally buy a box every single month, as a one off present it is a lovely idea but I honestly think it's a little expensive for a monthly gift for a pet. I'd rather get rid of the bag and cat litter liners and pay £13/15. Or have the option to pick a few of the items myself that I knew we would use. For a £5 discount use code ukbtlrye. 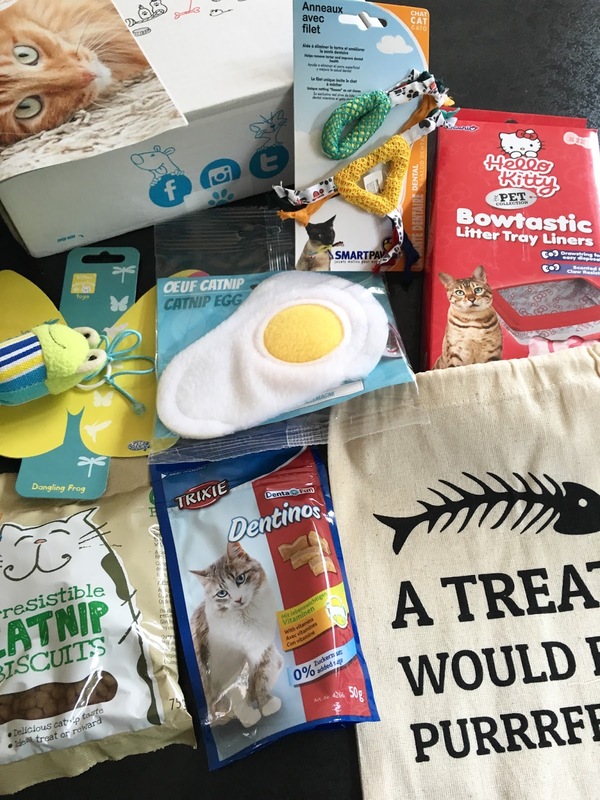 Would you consider a monthly box for your pet?